A secret woods in central London. 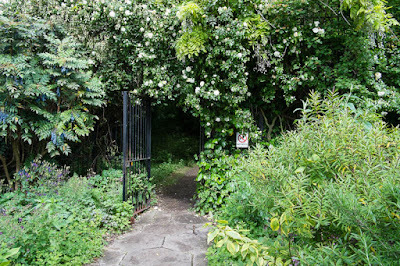 Just a block away from the busy Cally Rd (Caledonian Rd), the gate was open and we were invited in as part of the "open gardens for charity." NGS (National Gardens Scheme) was founded in 1927, that first year 609 people opened their gardens to the public charging them a shilling each and raising £8,000 for the nursing institute. The organisation has grown as has the number of people who generously open their gardens throughout the year, with £23 million raised over the past ten years for various charities. All looking lush & spring like, nice! it looks so lush and green - lovely! What a pretty spot. It's had to believe it's inside busy London. It sounds like a wonderful idea! A lovely secret spot and for a good cause.. Sounds really wonderful! 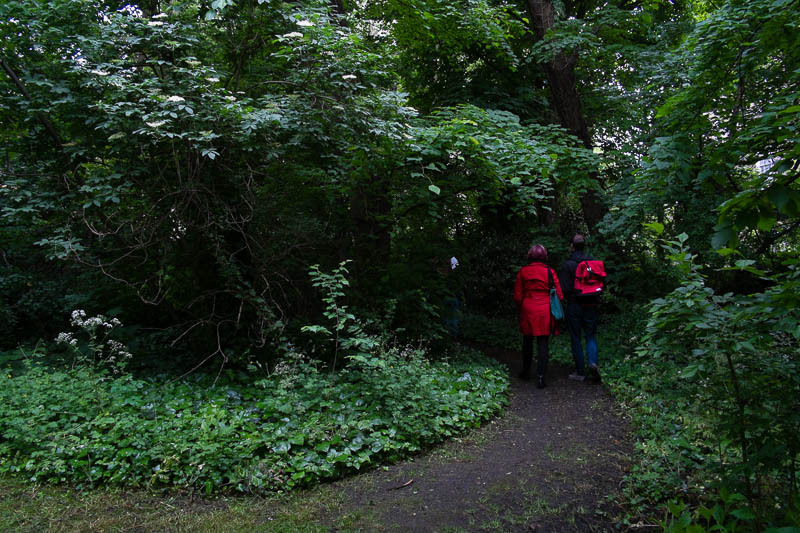 Have you already explored the secret woods?